Uluru (formerly Ayers Rock) is the one major Australian tourist attraction that I had never been to, but always wanted to visit. We were also keen to take our kids to Uluru as part of their childhoods, almost as a pilgrimage to the centre of our country. We were keen learn about indigenous Australian culture and history, and wanted them to personally experience the wonders of our Red Centre. It was an amazing trip, truly better than we expected. Being such a popular attraction I did think it might’ve been hyped up too much, or be so crowded that it was no longer enjoyable. But happily we visited at the best time, and found out for ourselves that Uluru, Kata Tjuta (formerly The Olgas) and the surrounding sacred lands were just as incredible as everyone says. Below I have outlined the many activities that are suitable for kids and adults and the eating options we tried, and included costs and tips for each. Information about Uluru accommodation and amenities is also provided. We visited at the start of the low season, and it was perfect. We avoided the peak crowds, and were lucky to take advantage of their special offer to Stay 3 Nights and Pay for 2. We ended up staying for 10 nights and only paid for 7! The weather is warming up in late Spring and early Summer of course, which is why it’s not the peak time to visit. But we found it was still very manageable as long as we avoided being out in the hottest part of the day for activities. It was worth it to be able to visit without enormous crowds everywhere: over 250,000 people visit each year, and the resort has the capacity to house many thousands more than were staying when we were there. We always try to go to popular places away from their main season to lessen the tourist load, and to get a quieter and more thoughtful experience. If it’s possible for you to visit in the low season, we definitely recommend it. We are slow travel enthusiasts for several reasons. 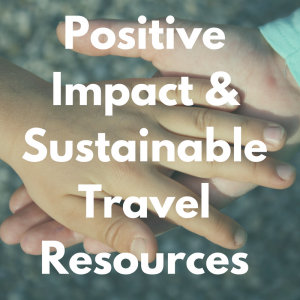 From a sustainable travel perspective, it makes more sense to travel slower as you consume fewer resources and can immerse yourself in a place. You get to know it and the people better and leave with a much greater understanding of it than if you skimmed over a couple of the most popular activities and then left again. It also makes sense from a family travel viewpoint. We’ve found that travelling with kids requires more time to settle in and adjust to new surroundings, and more time completing daily tasks that are needed for smooth family life! 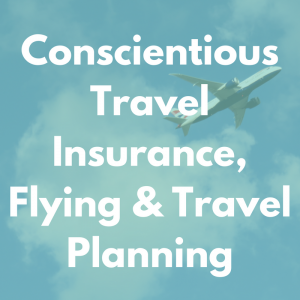 They can’t flit from place to place as quickly as adults (or ours can’t anyway) and young kids tire more easily too, so you can fit less into a day than if you were travelling without them. Anthony and Dante on our first hike at Uluru: we didn’t get far! Given all that, we think a minimum of four or five days at Uluru is best. We originally booked for six nights and then extended for nine, and then another extra night as our kids were having so much fun with some new friends they made, we didn’t want to leave! We were lucky to have the luxury of time though. If you are more pressed for time than we were, still try to book for more than two nights. There is so much to see and do there, it’s impossible to do it justice in only a couple of days. Ayer’s Rock Resort is the accommodation site at Uluru. It has many options to choose from, including a campground and six different hotels; from backpacker-style hostels to incredible luxury. Each different accommodation has a pool. The pool at Ayers Rock Resort campground. We travelled through South Australia and into the Northern Territory with our own caravan, so we stayed in the campground at Uluru and we loved it! It caters for vans and tents and also has cabins to hire, and it was well-maintained and spacious. The camp kitchens for non-powered travellers were excellent too. The only thing the campground didn’t have was free wifi everywhere. There is a small internet kiosk but it wasn’t working well when we were there. However, the staff at the Desert Gardens Hotel were very happy for me to use their Business Centre when I had to catch up on work, including accessing their wifi. Thank you again! These are the rates, as taken from their website. The campground has a small shop attached to its service desk, selling souvenirs, ice creams and ice. The bags of ice are cheaper there than from the supermarket, just FYI! The resort is actually a small town and has just about anything you could need, including a supermarket, post office, newsagent, cafes and restaurants, town square, gift shops, fuel station, tennis court, art gallery and museum, a hairdresser and ATMs. There is a free shuttle bus which takes you around the resort, or walking to the town square from the campground only takes about ten minutes. It’s wonderful that there are so many things to do at Uluru and Kata Tjuta now, and also within the resort too. Many years ago most people just came to climb Uluru, but now there is so much to choose from, you won’t be able to do it all! Before you get there, please take a minute to learn about what is respectful and polite when you’re visiting Central Australia. The Anangu people, traditional owners of the area, ask that visitors do not climb Uluru. It is sacred in their culture, and they also feel a responsibility to keep visitors safe. It is also having a detrimental impact and causing irreversible damage to Uluru: see the embedded walking track below. The walking track up Uluru has damaged the rock face. From October 2019 Uluru will be closed for climbing anyway, but that does not mean you need to visit before then to climb it. If you want to be part of something historic, plan a trip for October when it is closing as there will be many celebrations to participate in. Several areas around the base of Uluru are culturally sensitive sites, and Anangu request that these areas are not photographed at all. They are the equivalent of sacred scripture and the law of their traditional owners needs to be respected by visitors who are welcomed into the area. Please respect indigenous culture by not taking photos or touching sacred sites and objects. We did see some travellers deliberately photographing a site at Uluru, and going behind the fenced off area too. It is extremely disrespectful and potentially damaging to an irreplaceable part of aboriginal culture. Don’t be those people. If you wouldn’t disrespect a church, heritage building or religious monument, don’t disrespect a sacred site either. Take all rubbish with you when you’re out exploring, and please use the toilets instead of ‘going bush’. I have heard reports of nappies (diapers) being left at the top of Uluru, and people relieving themselves up there too. That is disgraceful behaviour both environmentally and culturally. Stick to designated tracks when walking or driving within the National Park. Also never take any souvenirs from the lands or harm plants or animals, including never feeding wild animals. Do not take photographs of aboriginal people without their explicit permission. All people deserve to be asked if they want to be photographed, and many aboriginal people are very shy and do not want their picture taken. It is also very culturally insensitive. Only buy aboriginal artwork from highly reputable sellers or the artists themselves. You can purchase within the Resort and trust that the artists are being looked after there. Use the proper, traditional names for Uluru, Kata Tjuta and other formations, as well as foods and scared areas you might encounter. 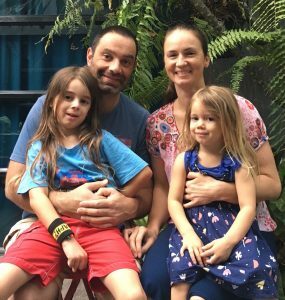 It is a form of respect to aboriginal culture, and teaching our kids indigenous names is a wonderful way for them to learn and understand Australian history and beliefs too. 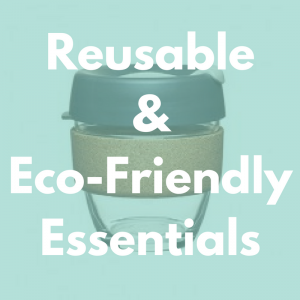 You can minimise the waste you create by taking a few reusable items with you, like stainless steel water bottles, coffee cups, and food wraps and/or containers. Also only collect brochures that you are really interested in — not every possible flyer — as they will end up landfill. Recycling services are limited at Uluru, and soft plastics, paper, cardboard and food waste are not collected anywhere. Please recycle all items that you can. There are five different walks you can take at Uluru, including the base walk around the circumference which is over 9km/5.8 mile. Our first hike was not very successful! We started too late in the morning when it was already getting quite hot. On another day we attended the Mala Walk, which is an outstanding free guided tour with a park ranger within a small section of Uluru. It runs every morning and is very popular — as you can see, even in the low season, there were heaps of people on the tour with us. The large crowd we joined for the Mala walk one morning. Ranger Adam was really informative and engaging, and had great stories to share about Uluru’s creation from both the Aboriginal Dreaming and scientific points of view. He also interpreted some ancient rock art and took us to a beautiful waterfall site. Ranger Adam discussing some Indigenous cave art that is 6000+ years old! The incredible Kantju Gorge, where water flows after rain. There is a small pool at the bottom (inaccessible to tourists). Our kids couldn’t follow all of the information that was presented but enjoyed looking through his laminated book of animals that was passed around, and then just played quietly or felt the changing texture of Uluru. The tour takes about an hour and is a short distance. We did some exploring on our own afterward, which was perfect as we didn’t stop at this area of Uluru on the bike tour we had already done (see below). There was more rock art to discover and we all loved the wave-like cave. Ancient rock art that has survived on Uluru. Exploring the fascinating formation. We’re looking at what seem to be shells on the roof! If you have very young kids, perhaps take an activity or toy along for them to play with during the Mala Walk when there’s a lot of talking. Take snacks, drinks, and hats every time. There is quite a bit of shade but also many areas in full sun. There is a great museum within the Uluru visitor centre, as well as large indigenous arts and crafts gallery and a gift shop. The museum was interesting with some movies on repeat and some (stuffed) Australian animals to see. Photography is not allowed anywhere inside the cultural centre. Watching the sun come up or down is amazing in the desert, and the formations of Uluru and Kata Tjuta provide such incredible backdrops, there are dedicated viewing areas for both. Ant and Dante watching the sunrise behind Uluru. We watched the sunrise behind Uluru, which is actually from the sunset viewing area. We loved it because it wasn’t busy like the sunrise viewing area, but it still gave us a spectacular sight. The sun almost up! We loved watching all the colours keep changing. You can also watch the sunset and rise from the lookouts areas within the campground. We caught a few sunsets there and loved watching it beside Kata Tjuta. Watching the sunset beside Kata Tjuta from the campground viewing area. There are several self-guided hikes within Kata Tjuta, and it is never as crowded as Uluru. We’re not sure why it’s not as popular, as it is just as amazing. It is so calm and quiet, and feels both vibrant and ancient at the same time. We enjoyed the Walpa Gorge walk, which is the shortest one and is great for young kids. We arrived too late in the day to try a longer one, but we got to watch the sunset from between the domes while we were there which was beautiful. Two other people were hiking at the same time, and they kindly took some family photos of us! It was really wonderful exploring Kata Tjuta; our kids loved the amazing terrain and we all marvelled at feeling dwarfed by the enormous rocks beside us. And finding tadpoles in a rock pool was fun too! Allegra wanted to watch them all night. I would’ve liked to go back and try another hike, but our last few days there got too hot for those tracks to be open. We all relished the cool stillness of Kata Tjuta, and Allegra could’ve watched the tiny tadpoles all night. The joy in wide open spaces! Take plenty of water and some snacks along, as well as hats and fly nets. Within the Ayer’s Rock campground there is also plenty to do. There is an excellent playground, 3-par mini golf course, volleyball court, and several look-out points to view Uluru and Kata Tjuta from. Our kids really enjoyed running along the boardwalks to the lookouts and playing at the playground with other little mates. Families staying at one of the hotels within Ayers Rock resort can visit the campground to access the equipment, and there are other lookout points around the resort too. The kids all had a great time running along the boardwalks at Ayers Rock campground. Within Ayer’s Rock Resort there are excellent free daily activities for anyone to attend, including dances, a theatre performance by Mani-Mani Indigenous Cultural Theatre Company, a guided garden walk, cultural talks and bush tucker tastings, a museum and ecology tour, and astronomy sessions. Anthony took our kids to see the sun through a special telescope one day, which was fascinating! Dante looking at the sun! Tips: look through the brochure on your first day and plan for the workshops you don’t want to miss. Most aren’t on every day so being organised will ensure you get to the ones you really want to attend. After our failed attempt at hiking around Uluru, we were really happy to find Outback Cycling tours! It was great as we could hire tag-a-longs for the kids, giving them the experience of riding but not forcing them to make it on their own the whole way. Near the start of our cycling tour around the base of Uluru. Dante was old enough to ride alone, but all of the children’s bikes they had to hire were bigger and heavier than he was used to. The tag-a-long worked really well for us anyway, it was great fun to have together! The kids were close to us and could enjoy the ride without getting too tired, which is always nice when we adults really want to enjoy an experience too. Allegra and I had a great time cycling together! It sparked her wanting to learn to ride by herself actually. Cost: Adult bike hire was $50 each and the tag-a-longs were $25 each. Hire is for 3 hours and includes helmets. Start early in the day, when the weather is still relatively cool. Still, bring hats and sunscreen. Take snacks and drinks with you, as there are some lovely spots to stop along the way to recharge yourselves. Taking a shady break to have a snack and a drink. The caves pictured below were directly in front of us. Some of the caves within Uluru. These are home to many animals and we watched birds flying in and out. Only two tag-a-longs are available for hire, so make your own arrangements if you need more. You can bring your own bikes along too, if you have the space for them! It’s a good option if you have kids aged between 5 and 8 who might also find the hire bikes too heavy. Uluru Segway Tours provides a fun option to travel around the base of Uluru, and Skydive Uluru provides a unique perspective on the big rock! Both activities are only available to kids 12 and over. Children who are five or more can take a camel ride with Uluru Camel Tours, and families are able to take a range of scenic flights with Ayers Rock Helicopters too. And a small family can even fit on a 3-wheel trike and tour around Uluru on a motorcycle! We didn’t do any of these activities so cannot review them for you, but love that there are so many options to choose from! Allegra and I loved this workshop by Maraku Arts. We learned what some of the traditional symbols mean in aboriginal artwork from one of Maraku’s artists Sarah, and then we had a turn at telling a story through our paintings. It was an immersive experience that is a lovely way to learn about indigenous art, and Maraku runs their workshops beautifully. Allegra was the youngest participant but was happy and could follow along and express herself well. Having the opportunity to learn from an aboriginal artist like Sarah is a real blessing, as all of Maraku’s artists live in the Central deserts and come in to share their knowledge. Maraku is wholly owned and operated by Anangu and is a non-profit corporation that aims to keep Aboriginal culture alive and strong. Maraku also sells artwork, wood carvings and traditional tools made by their artists. Some are for sale at the workshop. Indigenous artist Sarah showing us some symbols, and her interpreter Sara. Cost: $69 for adults and $35 for children under 15. Tips: The workshop is run outside, so take a hat and water along and wear mosquito repellant. In winter it can be quite cool in the morning, so dress accordingly! Anthony and Dante enjoyed this workshop with SEIT Outback Australia while we were busy painting. They were very impressed with their guide Rick, who is a former military officer trained by aboriginal people. Rick taught them how to identify animal habitats in the bush and to be aware of their surroundings; how to start a fire with grass and traditional tools; as well as about spears and other survival tools, and bush tucker foods, with samples! They also met five Australian reptiles, who are rescue animals that cannot be released back into the wild. Dante really loved this whole experience, even holding the snake! It was very professional, fun and educational. Cost: This tour is not available on their website at present. Other cultural tours by SIET are longer in duration, and cost $280 for adults. For similar experiences, there are free bush tucker and aboriginal tools workshops with Ayers Rock Resort, and there is a Red Desert Reptiles show on most days in the resort too. The show costs $25 per adult and $15 per child. I am unsure if the reptiles are also rescued animals as we did not attend that show. And if you’re lucky, you might get to see a native Aussie animal hanging around your accommodation too! A lizard we watched for some time outside the toilets at Ayers Rock campground. Tips: Be aware of the weather and take a hat and plenty of water along. The Field of Lights art installations by Bruce Munro were originally inspired by Uluru, and can be found around the world as well as here. This one is an enormous feat, using 50,000 solar-powered lights over the size of 7 football fields! There are several packages to see the field, all with free transfers from Ayer’s Rock Resort. We chose the cheapest tickets, which were still quite an expensive night out for a family, and Anthony and Dante were a bit disappointed in the experience. They expected to be able to see the whole field from up high, but we could only walk through the field with our tickets. Allegra and I still really enjoyed it: it was beautiful to see millions of stars above and the changing colours below! We tend to be the more ‘arty’ members of our family so perhaps that’s why we appreciated it more. Given our experience, I recommend only taking along people who are very visual or art-focussed if you are on a tight budget (or want to avoid children whining!) The Field of Lights is open until 2020 at Uluru. Cost: Cheapest tickets are $42 for adults and $30 for kids over two years old. Many other packages are available too. Tips: only take along people who enjoy art! Anyone wanting to learn more about the night sky while havign such clear access to it can take a tour with Outback Sky Journeys. They have a family-friendly tour which is an introduction to astronomy, and it sounds fantastic. We didn’t get to do it but would’ve liked to. Cost: $50 per adult, children under 15 free with a paying adult. This is pretty much a take-out van, serving pizza, burgers, hot chips, sandwiches and similar food. It is all packaged to take away but you can eat it on some picnic tables near the live stage. We found the food to be average, but it is a good option for kids craving take-away food. Cost: $20+ for a pizza. This is also a takeaway service for lunch and dinner, with great noodle options and the opportunity to choose your own stir-fry combination. I found the staff to be very helpful and accommodating, and loved that they were happy to use our own containers! Our Ayers Wok takeout food. We really enjoyed the fresh and tasty food too. Many vegan options are available and they do not use MSG. Cost: $17.80 for noodle or soup dishes, $2 each for spring rolls, dim sum and gyoza. Tips: Use your own containers and cutlery if you can, and save on some plastic waste being created. This upbeat and pumping cafe serves breakfast, lunch, coffee and snacks by Indigenous trainees. It had a great vibe at Kulata and was always busy, but there is plenty of seating within and around the cafe, and within the Town Square too. The food was fresh and the hot drinks were good, and my kids loved the pastries, cakes and ice-creams. There was only one vegan meal option for lunch (besides fruit), and as much of the food is pre-prepared in the morning it wasn’t possible to get something made up specifically. Kulata did have plant-based milk though, and were happy to use our own cups. Cost: $5 for coffee, $7+ for meals. Tips: Kulata is staffed by young trainees so please be patient with them. We had excellent service each time we went there. The Foodland supermarket has everything you’d expect even though it is so remote. Being the only one in the resort it is also very busy! It is kept well-stocked and I was pleasantly surprised at the range of vegan options available. Cost: As with most things in the outback, it was a bit more expensive than we usually pay. Take your reusable bags along. Fresh bread is baked daily at one of the restaurants and is available unpackaged at the supermarket, and much of the produce is loose as well. There are facilities to cook for yourself at the campground and at the Outback Pioneer Lodge. We really enjoyed our time at Uluru and we very glad we travelled there as a family. Dante and Allegra loved the whole experience and as well as learning a lot about our history and indigenous culture, they met some new friends at the campground and had a blast playing together. That’s what travel is about really, isn’t it? Learning, growing and connecting. We would be happy to visit Uluru again, and think we will one day! There is even more to discover, and when the kids are older the experience for us all would be different again. I hope you get to travel to Uluru with your family too and this guide is helpful for you. If you are driving to Uluru be sure to check out our Road Trip to Uluru post as it has heaps of information about gear to take, recommended books and great camping spots if you’re coming from the South. Thanks so much for sharing such comprehensive information! While I don’t have kids myself, this is a great resource for planning for anyone looking to visit. I’m happy you shed some light on the cultural & traditional aspects of the area & why you can choose not to climb Uluru for that reason. 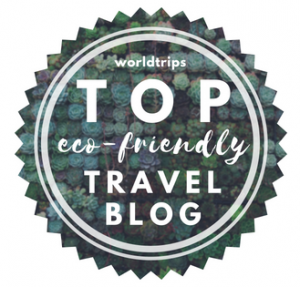 It’s always so nice to come across a responsible travel blog! Thanks Abbie! I think the responsible travel info is so important. And yes, all of the activities are suitable for anyone, not just families! I agree! Uluru is magical. I hope to return some day. Your post has so much useful information! Thanks Laureen! I hope you do get back there, there’s so much to explore. Previous story Adelaide to Uluru road trip: the sights, great camping spots, family fun & responsible travel tips!